Union Minister Venkaiah Naidu said that religion-based reservation would divide India. Hyderabad: Union minister Venkaiah Naidu today said implementation of reservations on the basis of religion may result in social unrest in the country and "lead to creation of another Pakistan". Speaking at a BJP meeting organised on the occasion of the Ambedkar Jayanthi, Mr Naidu also hinted that Telangana's recent proposal to hike reservations for certain sections may not be constitutionally valid. He also said that architect of Constitution B R Ambedkar had opposed religion-based reservation. "We are not opposing (reservation on religion basis) because KCR (Telangana CM K Chandrashekhar Rao) wants to implement it," he said, adding, "the BJP opposed such a move even when Rajasekhar Reddy (late CM of united Andhra Pradesh) and Chandrababu Naidu (present CM) also tried to do that. "We will oppose any such move because it will lead to creation of another Pakistan. It is an all India policy of the BJP. It is not the policy of Telangana unit of the BJP," he said. 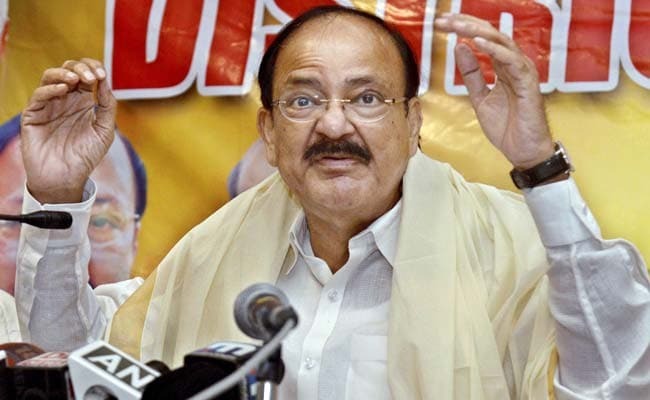 Mr Naidu said the BJP is against communal reservations. "Communal reservation will divide people on the communal basis. It will give demand to another partition of the country. It will bring disunity among the people. Social disruption will also caused by that," he said. Telangana Chief Minister K Chandrasekhar Rao recently said his government would convene the Legislative Assembly on April 16 to pass a bill to increase quotas to the STs (Scheduled Tribes) and backward sections among Muslims. Mr Rao further said resolution once passed by the state Assembly will be sent to the centre for its consent. He also warned that in the event of centre's descent, the state government may approach the Supreme Court.